We love debut authors around here and it's especially fun when that author is one whose journey I've watched for a few years. I met Elizabeth Michels at the Moonlight & Magnolias conference in Atlanta a few years ago (she's a regular in our fabulous shoes photos from RWA conferences). She's fun, hardworking and very talented and today, I'm thrilled to introduce her as a published author! Get more information about Elizabeth and her books at her website. Welcome, Elizabeth! Congratulations on the release of your debut, Must Love Dukes. I understand that this is the first book in your historical romance Tricks of the Ton series. Will you please tell our readers about the book as well as what is planned for the series? First of all thank you for hosting me here on The Romance Dish. I’m excited to be celebrating the release of my first book with you! Must Love Dukes begins with Lily stealing from the wrong man—Devon Grey, the Mad Duke of Thornwood. She only wants to undo the damage her brothers have caused to the family, but she gets far more than she bargained for when she meets Devon that night. Lily and Devon meet again a year later in a ballroom, where he enacts his revenge for her theft, only in the most unconventional ways. Lily follows along unwillingly with his plots until his eccentric schemes begin to bring her closer to the maddening Duke. But when Devon finally must choose between Lily and the future of his family, will the relationship they’ve built survive? The Tricks of the Ton series follows the lives of three ladies as they journey into deceptive plots and attempt to unravel the tangled aftermath of their choices. The discovery of each of their clandestine activities will pull them closer to love and drive their relationships apart as they search for their places in English society. Book 2, Desperately Seeking Suzanna, plays out at the same time as Must Love Dukes. In fact there are a few scenes in both books that can be seen in the opposite book. It follows Holden Ellis, Lord Steelings as he tries to unravel Sue Green’s deception in his search for Suzanna. Book 3 is How to Lose a Lord in 10 Days or Less where Katie Moore is…well…trying to lose Lord Amberstall. And yes, it happens in 10 days or less. *grins* The Tricks of the Ton series keeps growing as I write it. Even now, I’m writing about a few characters I think everyone will recognize, and I have plans for more books after this one. That's great news! 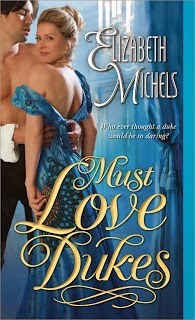 I really enjoyed Must Love Dukes and am looking forward to more books! Lily and Devon have an unusual first meeting before she disappears for the next year. What is it about second chance love that calls to you as a writer and what is it about these two that convinced you that they deserved a second chance? I love the depth that time gives to a love story. I’ve always been a fan of books that begin long before the first page of chapter one. When I started writing Must Love Dukes I knew that Lily and Devon needed to be together. Of course that doesn’t mean their path will be without obstacles. In fact they have quite a few issues from the past to overcome—beginning with how they met. Without giving away any spoilers, what’s the one scene that you would never cut from Must Love Dukes? My favorite scene is at the climax of the story and, without spoiling the ending, involves 2 bottles of whiskey, a surprise appearance of a gentleman, a stolen carriage, a group of angry dock workers and 2 ships in the London harbor. Of course there are many scenes I’m attached to in Must Love Dukes. I like to make unexpected things happen in the traditional settings of the Regency period. Life is simply more fun when turned on its ear. 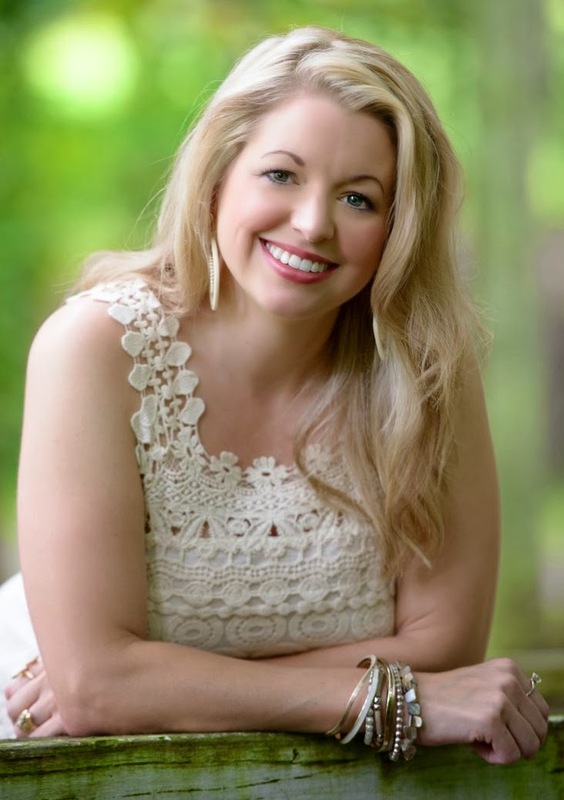 In Must Love Dukes we also meet the hero and heroine of your next book, Desperately Seeking Suzanna. What can we expect in this second book? When will it be released? 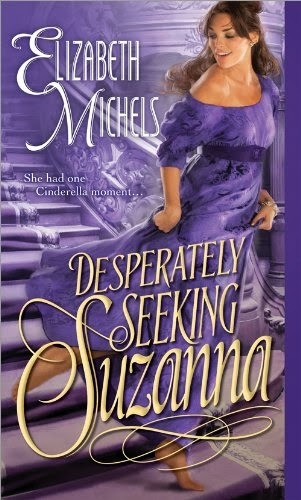 Desperately Seeking Suzanna releases on March 4th, exactly one month after Must Love Dukes. I’m so excited to share this story with everyone! This book is a Cinderella story with some definite twists from the original tale. You can expect a wild adventure that takes you through most of the ballrooms in London, an unexpected love story and plenty of chocolate cake. What inspired you to begin writing historical romance? Before I was a historical romance author I was an avid reader. If the book has a girl in a ball gown on the cover and was published in the past 10 years, I’ve probably read it. I started writing these stories set in this time and place I love when my husband noticed one day how many books we had piled all over our house. He was shocked at the number of books I’d read and suggested I try to write one. At that time, I was a stay-at-home-mom to a newborn who napped through half of the day. So, I started writing. What began as a hobby soon turned into an obsession and now, 5 years after I sat down at the kitchen table with the crazy idea to write a book, I’m here celebrating the release of Must Love Dukes! So, I guess my husband was right, but don’t tell him I said that. It must be so exciting to see your name on the cover of your first book. Did you do anything special to commemorate the release of Must Love Dukes? You mean other than dancing around my house while clutching copies of my book? *grins* How about taking far too many selfies with the copies my publisher sent me? Of course, that was just to kick off the party—I’ll be celebrating all month. What an awesome photo! I love it! Do I have to pick just one? I love everything written by Lisa Kleypas. But, my overall favorite book is Scandal in Spring—Daisy is my favorite wallflower. I’m also really looking forward to Julia London’s The Trouble with Honor. She’s also on my auto-buy list. And now that my first book has been released to the world, I think I’ve earned some reading time. Look out, TBR pile, you’re about to get tackled. Romance Writers of America’s annual conference in San Antonio, Texas on July 23rd. Moonlight and Magnolias Conference in Norcross, Georgia on October 11th. Thanks so much for visiting with us, Elizabeth and best wishes for success with your books. Would you like to ask our readers a question today? Thank you for letting me stop by to chat about my debut novel. I’ve had a great time! For a chance to win an autographed copy of Must Love Dukes, what’s your favorite way to celebrate a happy occasion in your life? Okay, readers. Tell us your favorite way to celebrate happy occasions, ask Elizabeth a question or just leave a comment. One randomly chosen person who leaves a comment will win a copy of Must Love Dukes. Elizabeth has graciously opened her giveaway to all U.S. and international readers! Elizabeth's publisher, Sourcebooks has also offered an unsigned copy of Must Love Dukes for giveaway today so two copies are up for grabs! Testing - my comment just got eaten. Uh oh. Blogger must have been hungry last night! All good now it seems. I love discovering debut authors. It's exciting to be there from the beginning. I like to celebrate happy occasions with family. A lovely meal together or even an afternoon tea. Mary, isn't it fun to know you're traveling a debut author's journey with her? I really enjoyed MUST LOVE DUKES and am looking forward to Elizabeth's next book which will be out March 4th! Congratulations Elizabeth on your debut . The picture is wonderful. It shows complete "Joy". :) I really liked the excerpt and have this new series on my TRL now. Thanks for the post.We usually celebrate with lots of screeching and hugging and then a nice homemade dinner. Isn't that an awesome photo? I grinned from ear to ear when I saw it. As you said, "complete joy." What a wonderful feeling to know that your book has been published and you are doing a grand tour to promote it.. Sounds like a wonderful book and I am sure it will be flying off the shelves.. Congrats. I usually celebrate big moments with my BFF's and we have dinner and lots of laughter..
Hi Kathleen! I'm all for celebrating with friends and lots of laughter! Welcome, Warinda! Those covers are beautiful, aren't they? I love the jewel tones. Congratulations and welcome, Elizabeth! We're happy to have you dishing with us today. I really like the sound of Lily and Devon's book and will pick it up on my next trip to the bookstore. I think you're going to like this one, Andrea! Hi Elizabeth! We're so happy to be hosting you today. Hope your month of celebration is shaping up to be all you dreamed of! Elizabeth, first of all, your books sound WONDERFUL!! I cannot wait to read them!! Fun and intrigue, sparks and love. Second, I love your selfie and your author photo at the top of the blog today. Beautiful. :) Last, but not least, I really like how some of the scenes of previous books are played out in other stories, yet from different characters' perspectives. That is so neat that you have done this, and how in the world did you keep it all straight? I am excited to find a debut author that really interests me. I've been in a reading slump lately and when I read your interview today, I was interested right away. Thanks for being here at TRD! CONGRATS on all of your books and your series!! Thanks! I'm pretty excited about it! And it's nice to "meet" you! Oh such gorgeous covers too! A nice dinner out with family and/or friends is always a nice way to celebrate. These are my favorite type of reads! Congrats our your latest!! Champagne's always good. Of course, celebrating with the family, especially with the grandkids present, is great. Congrats on your debut novel. I'm looking forward to reading it. I'm never going to turn down a glass of champagne. Cheers! I hope you enjoy Must Love Dukes! Congratulations on your debut, Elizabeth !! I love the premise of this series and the covers are gorgeous! Can't wait to read them all. I celebrate with chocolate, pizza and a DVD binge ! I work a 40 hour a week day job at Walmart so my idea of a great afternoon is food I love, watching a stack of DVD's, reading a great historical romance or two snuggled up in bed with my dogs and cat. Oh boy - a debut - love that picture with all the books fanned out! I like to celebrate with family, have a nice meal we prepare together and with a lovely dessert (probably something chocolate)! Celebrating happy occasions means just being with close family and having some laughs. I'm really looking forward to reading "Must Love Dukes" and want to congratulate Elizabeth on her wonderful successes! I love debut authors and these books look fabulous! Love the covers. I enjoy going out to dinner to celebrate things or just spending time with my family. I hope to get a dinner out for Valentine's Day. So I don't have to cook. Loved the selfie!!! The book sounds really awesome, love the cover. To celebrate special occasions or happenings, I love going out for dinner. Thanks, Martha! I'm pretty excited about it! I treat myself to good chocolate!! Indulging in a favorite dessert is always a good way to celebrate! Hope you enjoy the book, Erin! Thanks, Erin! I hope you enjoy reading it! Elizabeth, congratulations! These look great. I also enjoy books that build on things that happen before page 1. And I love crossovers. I'll be looking for these. Retail therapy! Always a good way to celebrate! I'm right there with ya, Barbara! Hi Janice! It's great to "see" you again too! I love going out for sushi because I can't cook that at home. I'm the designated cook in my house too. But, I have to admit, the nicest part is not having to do the dishes. ;) I hope I run into you again soon! Congratulations on the release of Must Love Dukes on Tuesday! I love your Tricks of The Ton Series! My husband and I love Greenville where my sons and his family lived until he was transferred to Columbia. Of course what my husband loved best about your city was the "mini" Red Sox baseball field they have downtown! I loved the walking trails myself and your great zoo that my grandchildren "made" me take them to (several times) during our last visit to Greenville! The one thing my son and his wife miss the most if the great view of the mountains outside their windows. You don't get that kind of view in Columbia! I love your Tricks of the Ton series and was wondering how many more books In the series I have to look forward to reading. Can you give us a hint at what your planning next? Oh, wow! You're local, Jeanne! I'm trying to set up a book signing in Columbia, but I don't have a firm date set yet. Columbia is actually my hometown...well, that's what I tell people who don't know the area. I grew up out 378 toward Sumter. What a small world! :) As for my books, I'm so glad you like the beginning of the series! After these first 2 books, How to Lose a Lord in 10 Days or Less releases in July. That story is about Lord Amberstall, who is introduced in book 1, but now he's on his way home from Scotland where he's been hiding from public shame for a year. On his way home, he meets Katie Moore, who is introduced in book 2. I'm really excited about this one, so I hope you like it. There will be more books after that, promise! :) Just between us, I'm writing Evangeline Green's book now and will follow that with her cousins, Isabelle and Victoria. But, don't tell anyone, okay? ;) It was great talking to you! I hope we get to meet in real life soon! We love South Carolina but live there ourselves - yet! We still live in snowy Rhode Island but are hoping to move to South Carolina and me near to our son, his wife and our grandchildren! My son had gone to college at The Citadel and our best friends live in Summerville (for those who don't know SC that's just west of Charleston! We've actually been looking around to a town to live in and are thinking about Camden - only about 1/2 hour away from where my son and his family is! I can't wait to read your entire series and I'll keep track at your website so I won't miss them! Congratulations on your new book. It sounds great! I can't wait to read it. When we celebrate a happy occasion we all go out for a nice meal. Elizabeth, thank you so much for being here today. I wish you all the best with your Tricks of the Ton series and hope you'll come back to visit with us again. For me, a celebration includes a meal I didn't cook and something fabulous for dessert. I don't know if I have one favorite way to celebrate a happy occasion. We might go out for a nice dinner. For big celebrations, we might even take a trip somewhere we've been wanting to go. Congrats on your debut novel. When I have something to celebrate, I love to gather my family and find a new restaurant. I'll be in San Antonio in July and at M&M in October. I hope we'll meet in person. My favorite way to celebrate is to have an outside, casual picnic, get-together in our backyard. Everyone relaxes. We play yard games, swim, tell stories, play card games, talk. Everyone brings a dish to pass around. I'm excited about finding your books. I enjoyed your interview. Best wishes for continued success! Congratulations on your debut. The color on that cover is stunning. Since my husband & I are both working 6 days a week, I would love a day to celebrate by just having us off for a whole day together with nothing to do, but maybe go out for dinner.